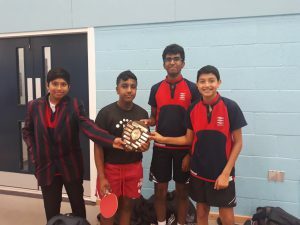 On October 18th the Tiffin Table tennis teams entered the Borough Championship at Coombe Boys’ School. 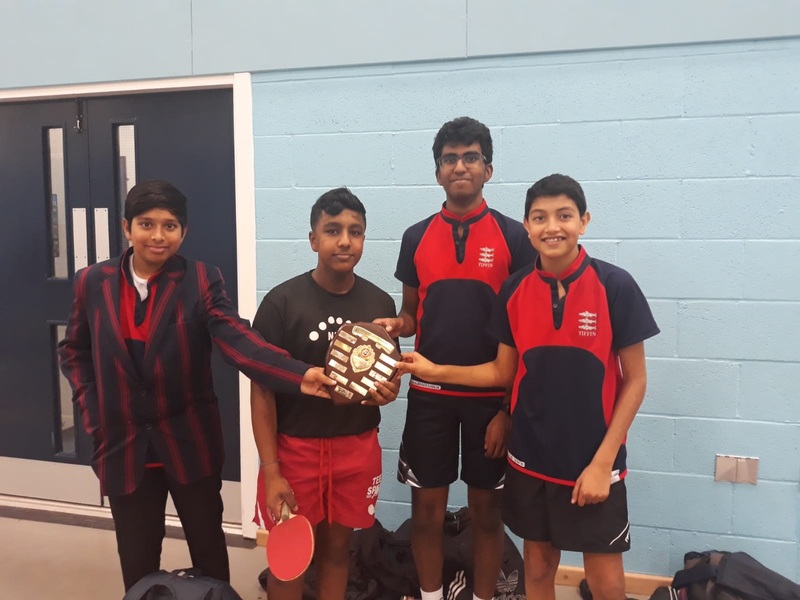 In a round robin format the U13s, consisting of Aarya Karthik, Ewan Brett, Qais Kamaraldin and Gavin Tsui impressed from the start and dominated all opponents, successfully defending the title Tiffin won here last year. The U16s, consisting of Darshan Kumaresan, Krushan Krishnananthan, Ashrith Behara and Harshil Shah showed superb skill and determination, beating all comers to win Tiffin’s first U16 title.